See below for Suzanne Mellen’s presentation at Meet the Money® 2010, and for links to other materials from Meet the Money Meet the Money® 2010. Suzanne R. Mellen is the Managing Director of the San Francisco office of HVS International, a full service consulting and valuation firm which specializes exclusively in hotel, gaming and related properties on a worldwide basis. 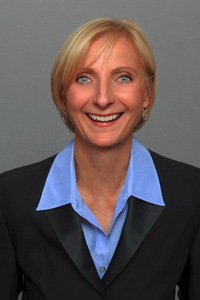 Prior to establishing the San Francisco office in 1985 Ms. Mellen was Director of Consulting and Valuation Services for the firm in Mineola, New York. Her professional experience includes consulting and appraisal positions with Morgan Guaranty Trust, Laventhol & Horwath and Helmsley-Spear Hospitality Services, Inc. in New York City and with Harley-Little Associates in Toronto, Canada. She gained her operational experience with Westin Hotels at the Plaza Hotel in New York. Ms. Mellen has a B.S. degree in Hotel Administration from Cornell University and holds the following designations: MAI (Appraisal Institute), CRE (Counselor of Real Estate), FRICS (Fellow of the Royal Institution of Chartered Surveyors), and ISHC (International Society of Hospitality Consultants). She has been appraising hotels and related real estate for 29 years, has authored numerous articles and is a frequent lecturer and expert witness on the valuation of hotels and related issues. Click here to download presentation file for Suzanne Mellen, HVS: Hotel values and cap rates or view the presentation below.